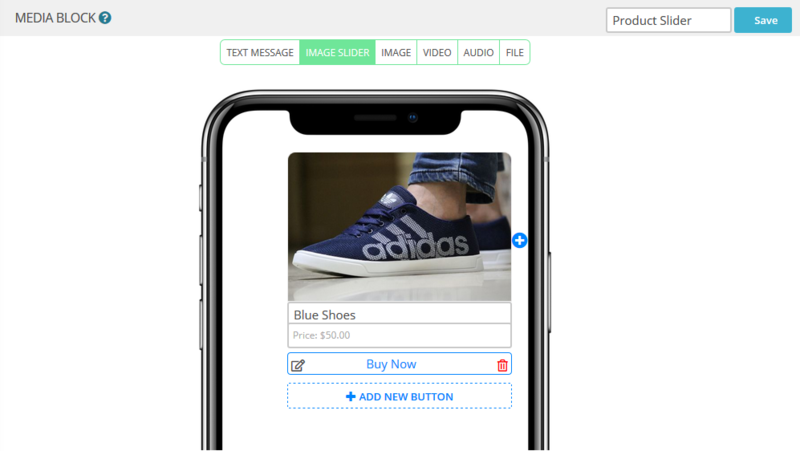 If you have an eCommerce Platform and you are using messenger bot, there is a great feature for you to collect payment on messages through stripe connection on Botsify. Whenever the user buys something using your chatbot, the amount would be sent to your stripe account. But, You must have a Stripe account first in order to use this feature. 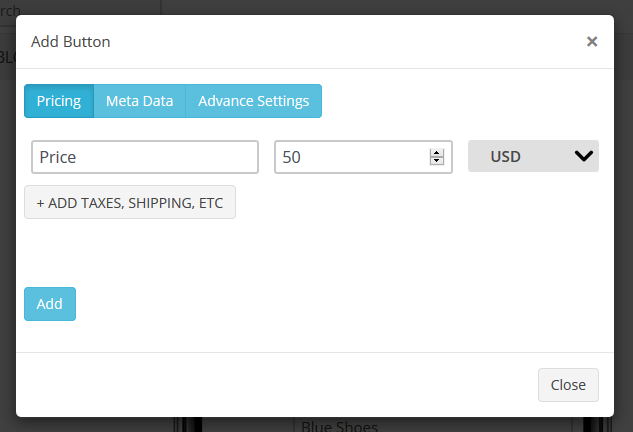 Select your Bot on which you want to collect payment. Go to “Settings” from the left sidebar and then click on “Connect Stripe” on the setting sidebar. On the Connect Stripe tab you will see the button “Connect with Stripe” on the center of the page. As you click on the button you will be redirected to the stripe. 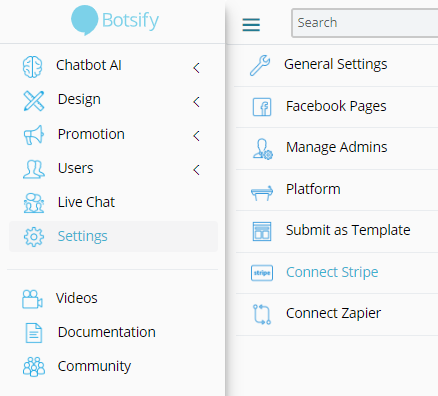 Once your submission goes successful you will be redirected to Botsify. To collect payment on any product you will need to create a Media Block. 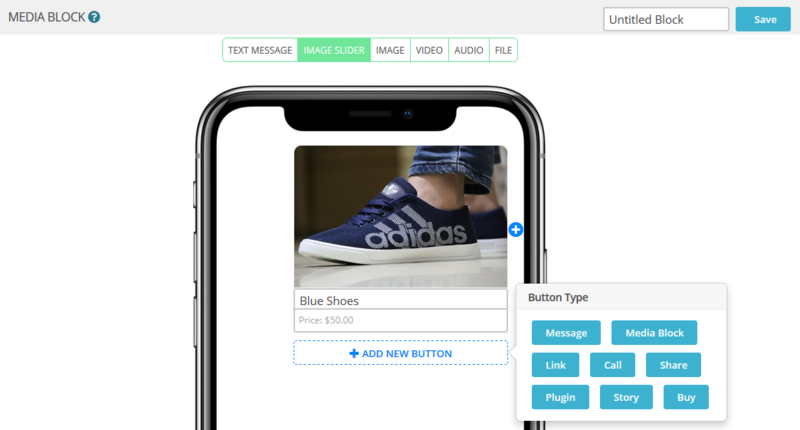 In this case we will use an image slider block, to create an image slider block, go to Media Blocks from the left sidebar and click “Create A Block” button on the screen. Select the “Image Slider” option from the top. On the Image Slider block click on “Add New Button” and select “Buy” button and a payment form would appear. Define your price for the product (You can also add Taxes or Shipping charges etc.). You can also add the “Meta Data” for the person who is buying this product. On the “Advance Setting” you can define what information should be asked from the user who is going to buy the product. After filling the required field on the payment form a “Buy Now” button would be added on the slider.